After taming Google into submission, China has launched a new search engine of its own to make foray into its 420 million strong net users' market, a move believed to be aimed at taking firm control of the web media. Known as 'Goso.cn', China's very own search engine has been launched by the country's largest newspaper the 'People's Daily', which is the official daily of the ruling Communist Party of China (CPC). The state-run media already holds sway over the country where the flow of information is tightly controlled, and the move to introduce its own search engine signifies its aim to take control of the web media as well. The move came as blog news is catching up fast posing a direct challenge to the hold of official media in the country. Google was involved in a face-off with the Chinese government in March this year after it shut down its Chinese search engine and re-routed mainland users to its uncensored site in Hong Kong, protesting cyber attacks. Google, which resisted attempts of censorship for many months later gave in and got its license to operate in China renewed only after it agreed to abide by all restrictions. Months later, the country's largest newspaper has launched a news search engine which came after six months of trial operations, state-run English dailies the China Daily and Global Times reported. The launch of the "People Search Engine" is part of authorities' efforts to enhance the CPC international communication capacity, Zhang Yannong, president of People's Daily, said. Given the fact that most of the rules and regulations of the information industry were set by foreign companies, and that several countries view development of the Internet as part of their national strategies, China must develop a search engine with independent technology, thus creating a good Internet environment for 420 million, China Daily quoted a "netizen" Zhang as saying. "The search engine is an Internet tool that obviously has ideological characteristics," he said. Deng Yaping, general manager of Goso Network Limited, said Goso.cn is a vertical search engine product that integrates news, news forums, pictures, blogs, videos and micro blogs. Since its renewal, Google operated on a low profile in China and Google Earth Maps did not even take part in the bidding, leaving the floor open to mostly local competitors. China has already launched its own version of earth maps which showed Arunachal Pradesh as part of southern Tibet. Goso.cn is expected to go after local search engine Baidu.com, which expanded it operations taking full advantage of Google's problems. With advanced technology, PCs are giving way to laptops and laptops are making space for tablets. The humble mouse is also constantly evolving in its form and design. And the latest idea to stuck innovators is that of touch controls in the mouse. 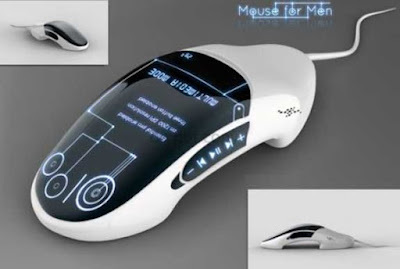 As the touch controls are gaining popularity, a concept design is presented, titled Mouse for Men, which if realised into reality will change the way we use the mouse. Conceptualised by Indian designer Nitin Mane, the concept mouse has touch controls, flexible touchscreen and pressure sensitive controls to boot. The touchscreen has an OLED display and the design is inspired by an original mouse. The concept device has a separable tail that eases the usability. The interface of the mouse has displays the status, and the buttons and menus can be customized as per the need or preference of the users. The mouse also has emergency charging feature at the end of normal battery life. The Mouse for Men was designed by Nitin Mane as part of the LG Cube Competition 2010. Mane is a student of animation and graphics. 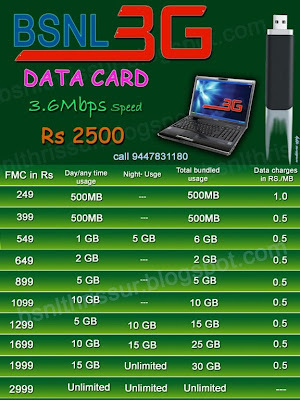 Are you shocked by BSNL broadband usage bills ? Bangalore Telecom and BSNL has now Broadband usage alert through SMS and email. If your are in Bangalore, register with your customor id here to receive alerts. These alerts will warn you when you cross your Broadband usage limits.Otherwise it sends your usage once in a week as SMS. 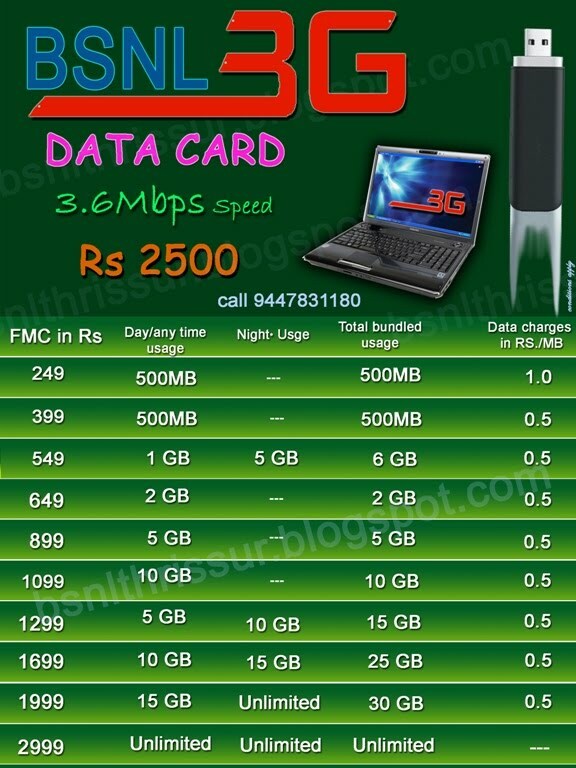 I use this service and it is good to know the broadband usage to control myself. In other places, you can register here . You can also register yourself for getting free sms alerts on your mobile regarding broadband usage/excess by sending an sms. REG Landline number with std code to 52295 ( if you are a BSNL customer).If you are not a bsnl customer send the sms to 9448077777. Eg REG 08012345678 where 080 is std code and 12345678 is the telephone number. folder. It’s the easiest way to back up and sync files between computers. a file to your Dropbox folder. Step 1: Drag and drop a file into your Dropbox. The YouTube webpage is seen on a computer screen. Filmmakers who have played by the rules on YouTube can now post works longer than 15 minutes at the world's leading video-sharing website. Filmmakers who have played by the rules on YouTube can now post works longer than 15 minutes at the world's leading video-sharing website. Google-owned YouTube in July raised the video-length limit to 15 minutes for all users but has sent out word that filmmakers who haven't abused copyright and other rules will be exempted from that time cap. "Our creativity isn't bound by a time limit, so why should our video uploads be?" Google product manager Joshua Siegel and company software engineer Doug Mayle asked rhetorically in a blog post Friday. "As long as it's your original content, it's fair game regardless of length." The move was made possible in part by better tools for identifying copyrighted material posted on YouTube without permission from content owners, according to Siegel and Mayle. Major US movie and music studios are among the more than 1,000 "global partners" that use a Content ID system to manage their digitized material on YouTube. Videomakers can click an "upload" icon on YouTube to learn whether their accounts qualify to post longer works. Google Alerts are emails sent to you when Google finds new results such as web pages, newspaper articles, or blogs — that match your search term. You can use Google Alerts to monitor anything on the Web. Enter the topic you wish to monitor, then click preview to see the type of results you’ll receive. You can use Google Alerts service to get email notification or RSS feed, when a new webpage with your topic of interest or passion is available in Google index. You may set your full name for alert, to know if someone is writing about you! find out what’s being said about themselves (ego search). Google Dictionary is a free online dictionary service from Google accessible to anyone with an internet connection. This multilingual dictionary serves 28 languages, including the Indian languages Malayalam, Tamil, Telugu, Kannada, Gujarati, Hindi, Bengali and Marathi. Google Dictionary integrates Google Translate and Web Definitions into it. For example, you can type a word in English and can find out its meaning in Malayalam. Similarly, you can type a Malayalam word in Unicode and find out various English words meaning the same. The dictionary service provides Audio pronunciation as well for the English words. Synonyms will also be displayed along with the result. If a word similar to or same as the word that we enter, it is present in any other language, google dictionary shows that result too. It will display related phrases, usage examples as well. Recharging your mobile phone at http://www.freecharge.in was never better than this. Cashing in on the boom in the number of mobile and e-commerce subscribers in India, a start-up company offers a unique way to recharge your prepaid mobile voucher. For any amount you recharge, Freecharge.in offers you free coupons from retailers like McDonalds and Barista. "Each coupon has its own terms and conditions. For McDonald's, to use a Rs 50 coupon, you have to buy products worth Rs 50. In Barista, it's a 'buy one, get one free' offer. Other coupons that we are putting up will be even better," says Naman Sarawagi, product head, Freecharge.in. 15 major national retailers have expressed their interest to join Freecharge.in, run by Accelyst Solutions Pvt. Ltd. The company plans to offer free coupons from more restaurants, multiplexes, apparel and grocery stores in the near future. 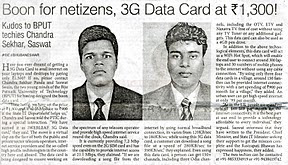 Mobile Number portability (MNP) will take off from Karnataka circle starting Nov 8th but one thing is sure testing is going to start from Nov 8th 2010 . Mobile Phone Maker Micromax today announced an exclusive partnership with Israeli based company Modu Limited to launch co-branded modu T 3G Mobile Mobile phone in Indian market. 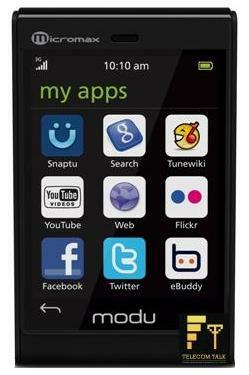 The 3.5G modu T was awarded the Guinness World Record for being the lightest touch phone in the world. Priced at Rs 12,500 modu T has a 2.2” touch screen and memory card slot for external memory card with capability up to 32GB. 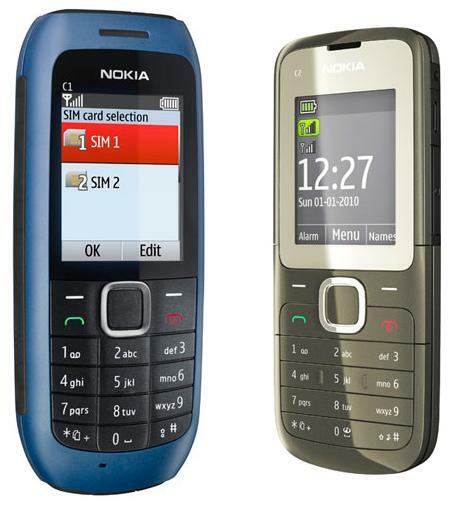 The phone also features web access, Instant Messaging, direct links to different social networks, a built in FM radio, GPS, music player. You just need to compose a email with your file in attachment and send it to save@backupelf.com. There’s no need to sign-up as the service will automatically create a new account when it receives the first message from your email address. Later, you can log into the BackupElf website to retrieve your email backups. 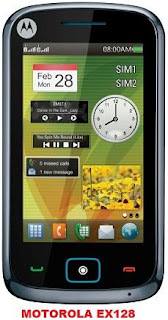 The free version offers 100 MB of storage space or you can go for a paid plans for additional space. Nokia the leading mobile phone maker announced the launch of Nokia Money the mobile Payment services enabling consumers to pay through direct from their Nokia mobile phones in India. To offer the Mobile Payment service the company tie-up with Yes Bank. 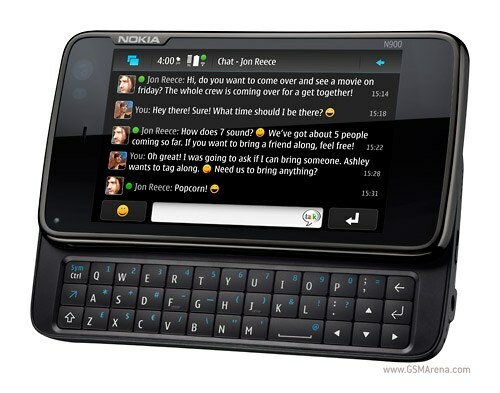 The Nokia Money Services will allow mobile phone users to transfer money to another person by using the person’s mobile phone number and also top up the prepaid card or pay utility bills. As a commercial pilot project initially the services will be launched in Pune (Maharashtra) and will also be available through Nokia’s retail network. Transactions can be done over SMS, IVR, WAP, JAVA and FIRE. The service will be offered over a Mobile Payment platform developed by Obopay which is already partnering Yes bank. Vote via SMS is the most commonly used voting system these days. From reality shows to surveys & contests everywhere it’s been used. But, Most of us have voted using this system since it uses 5 or 6 digit short code which service provider will charge around 5 to 6 Re per SMS. Because of this pricing, participation in voting becomes very less. Have you ever thought of voting using "MISSED CALL" Here is new concept using missed call. Q: Should Meg Whitman become Governor of California? and bleh bleh to vote! It is just different numbers to dial for different options. Recently they have plans to open ZipDial for public where anyone can create a poll. They have just started, I wish everyone including TV channels start using this system. Visit ZipDial & start voting for polls & win some gifts. We can now Fully unlock the latest iPhone 3G & 3GS with the 3.1 and 3.1.2 version Software (including 05.11. Baseband)! They have developed own unique iPhone unlocking solution and they confident to say that our unlock is the safest, most easiest iPhone Unlocking solution on the market today. Thissolution is simple and failsafe, and will fully unlock any version iPhone, completely hassle Free, without having to worry about updates or complicated instructions! Solution Enables you to activate any iPhone on any network, any carrier, any SIM card. No need to provide any information to AT&T, This is not a technical hardware unlock, No need to soldering/opening your iPhone. You can restore your iPhone to original state, You can use it on as many iPhones you want, works with any iPhone, any Provider, any Simcard! Fully iPhone optimized. iPhone Unlock Solution is Proven to work with many networks like T-Mobile, O2, Orange, Telefonica, Vodafone, AT&T, TIM, Telstra and Many Others. - FULL Unlock for Any Network! Worldwide! 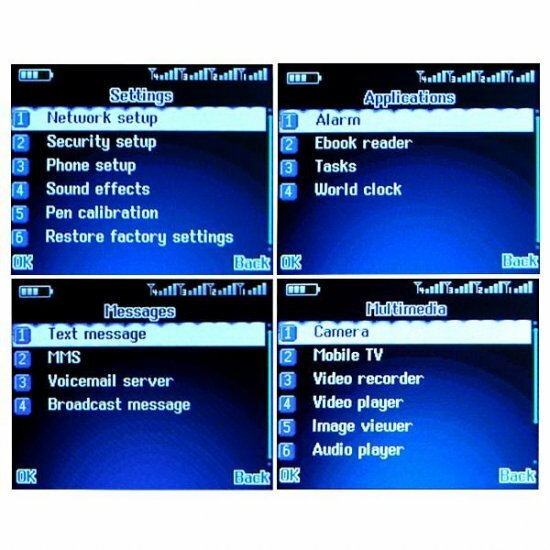 - Unlock solution for latest 05.11.07 Baseband - MMS/SMS + Instant Messenger + PUSH notifications - ALL Functions Working! (Includes 3G Data network and GPS!) - Very Easy unlock, no knowledge required! Anyone can do this. 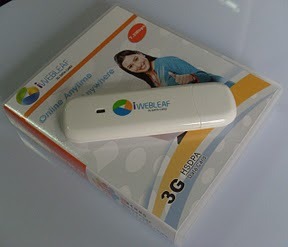 - No iTunes Sync or Airplane mode issues - This is the ONLY Reliable & Stable unlock Solution for the iPhone 3G! - No Signal Loss like other Unlocks available! - Instant Access to 1000's of iPhone Applications! - 100% Working, 100% Reliable, 100% Safe! - Experienced & Trained support team to answer all your questions 24/7 - Full Money Back Guarantee! Unlock Solution allows you to "Jailbreak" your iPhone. This will add the Cydia and Installer Application to your iPhone. These will allow you to add thousands of Free applications to your iPhone, like Games, Utilities, Tools, Nes Emulators, Custom Springboards etc. etc. Cydia and Installer are similar to the the iPhone Appstore, but all the applications are completely Free! Autoplay play feature is not only available in CD drives, but also on the flash drives and external hard drives that you connect to your PC. In any case your external drives or CDs are infected with virus or malwares, then chances are there that your PC could also be infected with the autoplay feature. Best way to combat this issue is to disable autoplay on all your system drives. To disable autoplay on all drives, best method is to change it through Group Policy Editor. To do this click run and type gpedit.msc and press enter. Navigate to Local Computer Policy-> Computer Configuration->Administrative Templates-> System. Now on the right panel double click Turn off Autoplay. Now select enabled and choose All drives from the dropdown list and click ok.
You can either copy the three lines below from this web page .The file name is not important, other than it should end with ".reg". Copy this code below it and save on to notepad with extension ".reg". Note that there are three lines in the file, the middle line may wrap when displayed by a web browser, but it needs to be a single line in the .reg file. Once you have a dot reg file on your computer, just double click on it.